Founded in 1848, the Herzog family winery was renowned as the exclusive wine supplier to the emperor of the Austro-Hungarian Empire, Franz Josef, earning one of the early Herzogs the royal title of Baron. Besides attaining royal status, Baron Herzog's wines had also become sought after by a wave of European wine lovers. 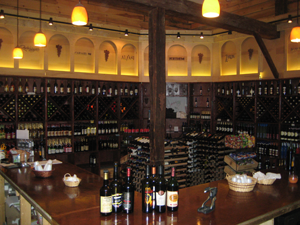 The wines became well known for their quality and high standards of production. Smooth textured, full flavored and simply delicious, these wines built a reputation that would prove valuable in later years. The winemaking family left Europe in 1948 and continued their tradition of winemaking excellence in the United States. The Herzog family opened Kedem Winery in the scenic Hudson Valley and worked very hard to develop a full line of opulent wines bearing the Kedem label. In later years, Kedem expanded the selection with premium label Kedem Estates wines including a Cabernet Sauvignon. Crafted from rich New York State grapes, Kedem Estates wines are truly enchanting. and on various holidays during the year. *Kedem Winery does not offer tours. Thank you for enjoying our Tasting Room. © Copyright Kedem Winery. All rghts Reserved.